Time has been rushing by of late and at home things have been extraordinarily busy. 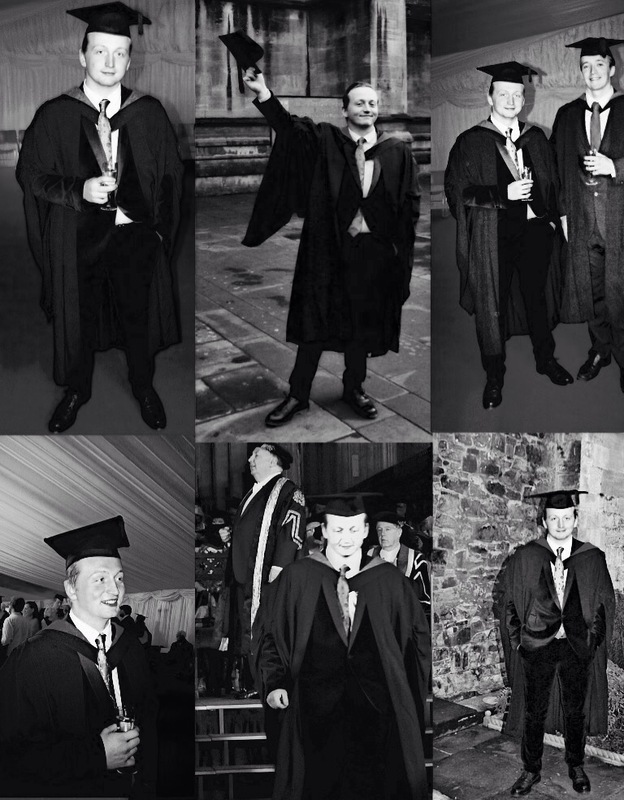 Over the last few months we’ve been through the stresses of revision and final exams, reflected on my son’s three years at university which seem to have passed by in the blink of an eye, received the results and classification is his degree and started planning his next steps. We’ve reviewed job adverts, prepared him for interviews and celebrated two very good offers which take him closer to his ultimate goal – four years further study (graduate entry medicine) in order to become a doctor. I’m so very proud of J and what he’s achieved. University is supposed to be an enjoyable experience, a time when we’re unencumbered by thoughts of death and hardship. Unfortunately his university journey was marred from start to finish by more crises and calamities than some folks experience in 50 years. At the start of 2012 it was uncertain whether I’d be here now because the extent of my malaise was yet to be determined. Our lives turned upside down in that instant and for J, a deep pervasive depression began to take hold. Every day was difficult. Some were just plain awful. Those events, the days, weeks and months of trauma, we choose to leave behind. I know that eventually they’ll gather so much dust that they’re obscured from thought, displaced by altogether happier and healthier periods of our lives. After so much chaos and consternation things are finally looking better. Health, for both of us, is heading in the right direction and luck (if that’s what it is) has decided to make a long overdue appearance. We have some very special days to remember, free from the shadow of cancer and depression, free from people who’ve been unsupportive (and mean) and free from physical and emotional purgatory. In the last two months there have been some very, very good days. It feels as if we’re living a different life and in many ways we are. For that I am more thankful than words will convey. These are the days to remember. They remind us that with love, tenacity and enduring faith we can achieve much more than our circumstances appear to support.